In a recent Foreign Policy article, Robert Kaplan argues that Pakistan’s problems—and its destiny—are rooted in its physical landscape: “Pakistan’s present and future, for better or worse, are still best understood through its geography.” Kaplan’s article is important and insightful in many respects, and I would urge all interested parties to read it carefully. But as a geographer, I am wary of arguments that too strongly link historical processes and political developments to geographical patterns: geographers once argued that the physical landscape determined just about everything, an overweening claim that crippled the discipline. Careful securitization of Kaplan’s claims thus seems in order. Although Kapan’s reasoning is subtle and his marshalling of historical evidence impressive, his general scheme is a bit too neat and tidy. To begin with, reducing India to the Ganges Basin is simplistic—and sure to generate offense in the rest of the country. 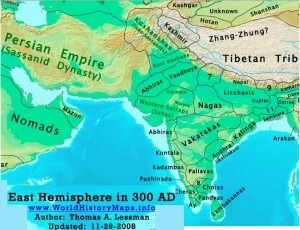 The Ganges Valley can be viewed as India’s most important cultural-historical core zone, but other cores, such as the plains of Tamil Nadu in the extreme south, have been vitally important for millennia. 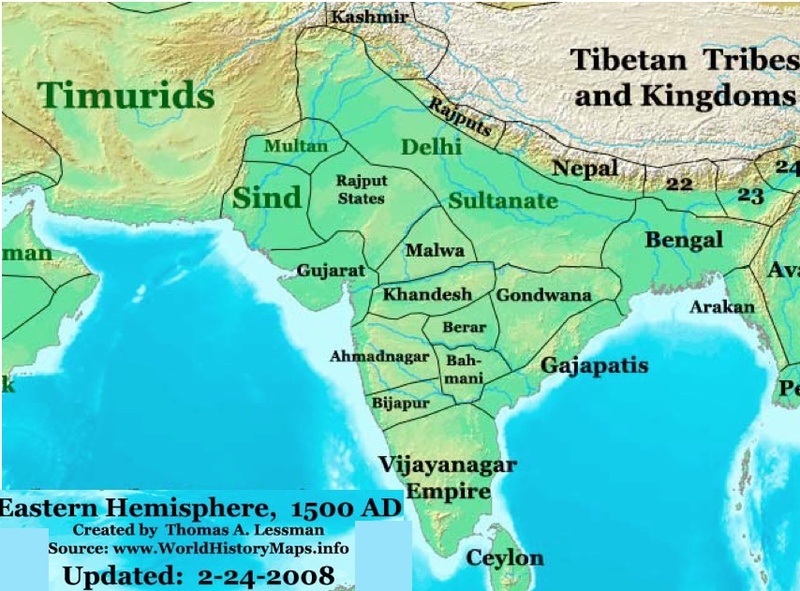 In today’s India, moreover, the Ganges Basin is generally regarded as the poorest and most backward part of the country, with the centers of dynamism mostly located well to the south. Historically as well, it is questionable to link the physical-geographical substrate to the generation (and regeneration) of particular, territorially bounded states. 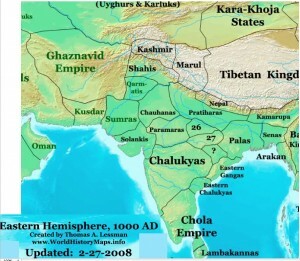 At one level, Kaplan recognizes the fluctuating nature of pre-modern polities, arguing that the “past belonged to a world not of fixed borders, but rather of perpetually moving spheres of control as determined by the movements of armies.” Yet at the same time, he repeatedly refers to Indus-based and Ganges-based states as forming the geo-political core zones of South Asia. In actuality, many historical kingdoms ruled over areas not fixed by the region’s riverine topography. 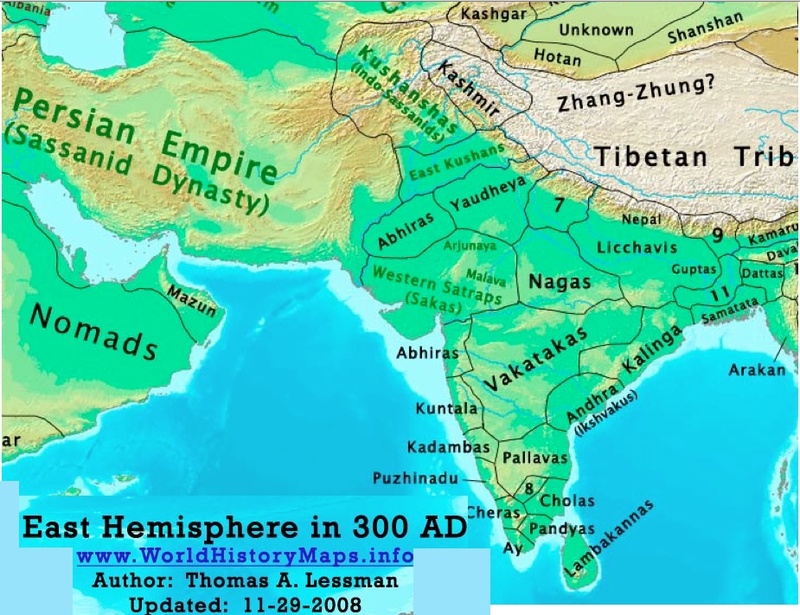 Consider, for example, the situations circa 300 CE, 1000 CE, and 1500 CE, as represented in Thomas Lessman’s superb political-historical atlas. Note in these maps the division of the Indus Valley into competing states, as well as the significance of Indian kingdoms located outside of the Indo-Ganges lowlands. 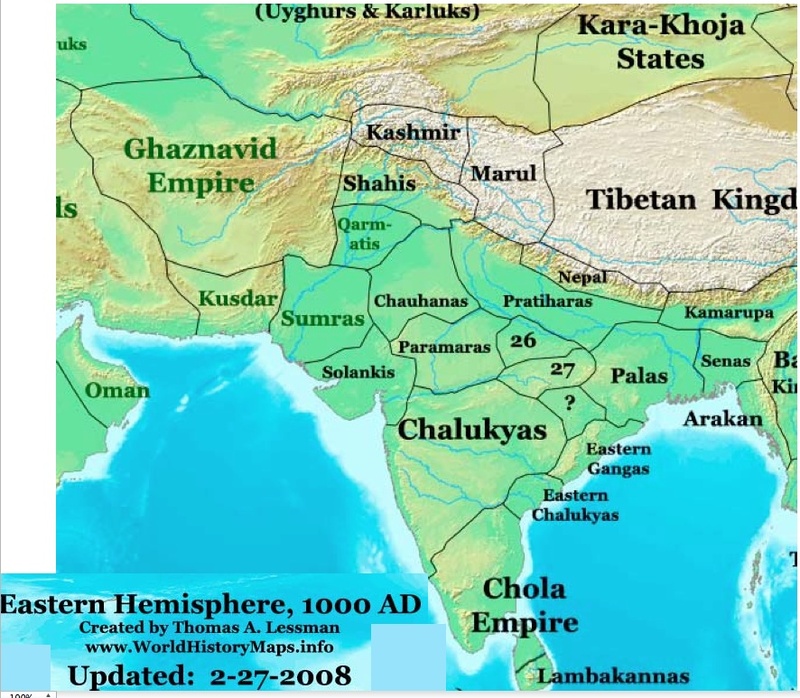 If one picks particular historical episodes, one can indeed make it seem as if there is a natural connection between particular territories and powerful states, but if one picks other periods, different patterns are revealed. Geography, in other words, is not exactly destiny. Finally, Kaplan’s very subtitle is doubly problematic: “Why geography — unfortunately — is destiny for South Asia’s troubled heartland.” How Pakistan could possibly be considered South Asia’s “heartland” is beyond my understanding.